A small cottage store was serving the needs of the hamlet of Curtisden Green from the early 1800s. The earliest record we have is of a Mr Jenner running a business here, and he was followed by Mr John Pilbeam. We don’t have any specific dates for either of these shops but we do know that Mr John Powell came to Curtisden Green in the 1860s and took over the tenancy of the shop when Mr Pilbeam left. John Pilbeam went on to the Blue Boys Inn at Kippings Cross where he died on 20th September 1888. In time Mr & Mrs Powell’s family grew to six sons and one daughter. Joseph, born in Curtisden Green in 1871, learned the trade and helped his father in the shop. 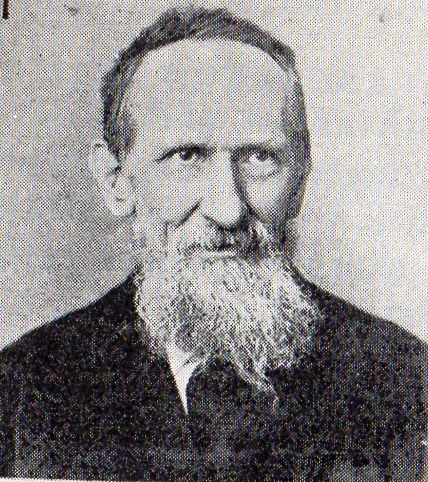 In 1895 Rev. Joseph Kendon made an application for a Sub-Post Office at Curtisden Green. Having guaranteed to make good any loss during the first three years, his application was granted and John Powell became the first postmaster. In 1896 John Powell retired and he and Sarah went to live in Tunbridge Wells where John died in 1900. 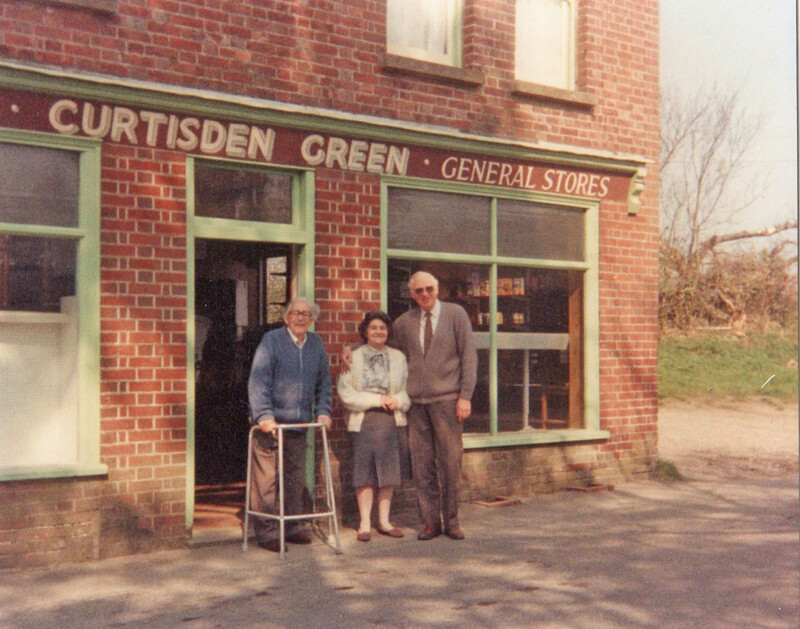 When John retired Joseph and his older brother, Thomas, took over the business at Curtisden Green trading as J & T Powell and Joseph became postmaster. Together Joseph and Thomas developed a bakery business at the Curtisden Green shop. Demand for their bread was so great that they soon opened a second bakery in Marden to cater for the production of the volume of bread they were selling. 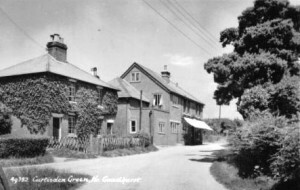 In 1903 Joseph married Kate Eves and brought her to Curtisden Green. Joseph embarked on rebuilding the property in order to create more shop space. While the building works were ongoing, Joseph and Kate ran a temporary shop from a shelter some distance from the green. The shelter had been used as a Mission Room and Sunday School for the hop pickers during the picking season. The post office was temporarily run from the butcher’s shop next door to Joseph’s property. In August 1903 the new shop was completed and the Powells moved into their enlarged premises. A short time later, in October 1903, their landlord, Rev. Kendon, died and in December of that year Joseph Powell was able to purchase the property. In 1914 the brothers’ partnership was dissolved. Joseph carried on trading from the Curtisden Green shop. Thomas continued to run the bakery at Marden until he eventually sold it in 1921 to Messrs Fread and Eves and he moved to Canterbury. In 1937 Joseph Powell died and his widow, Kate, died in 1947. Their daughter, Grace, had married Les Brown in 1934 and Les managed the shop for many years until they retired to Hastings. In 1954 Fred Marshall took over the shop. He had moved to Curtisden Green from Chislehurst with his daughter Pat and her husband Ted Webster and together they ran the grocers, general store and post office. In 1977 Pat and Ted Webster took over the shop from Fred. The shop stocked almost everything you would ever need; from chicken wire to paraffin, from nuts and bolts to pots and pans, from fresh fruit to frozen foods, from meat to biscuits and much more besides. As well as making home deliveries of goods Mr Webster would often take customers’ family allowances and pensions to their homes too. In early September 1988, when Ted was 58 years old, there was an armed robbery at the post office. Armed men burst into the store at 2pm when Ted was reopening after lunch and tried to force him to hand over the post office takings. When he refused and shut himself behind the counter, one of the masked gang fired a shot at Mr Webster through the glass screen, then a second man broke the screen down and climbed over the counter to grab £500 from the till. The robbers made their getaway in a waiting white Honda saloon driven by a third man. Fortunately Mr Webster escaped unhurt although he admitted to being shaken by the incident when the police told him the shots were real and not blanks as he had originally thought. In September 1989 Ted Webster was invited to London by the Post Office where he was awarded a Certificate of Commendation for Bravery. In 1990 Ted and Pat Webster retired. The shop finally closed its doors on 31 March 1990 and was subsequently converted into two dwellings. Ted and Pat lived in one side and their daughter and her husband lived in the other. Today there is no general store or post office in Curtisden Green. The property is now a single private dwelling.